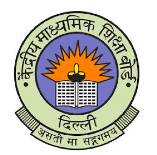 The Central Board of Secondary Education, Delhi will be conducting the 11th Edition of Central Teacher Eligibility Test (CTET) on 09-12-2018 (Sunday) at 2296 centres throughout the country in 92 cities. The candidate's e-Admit Cards will be available on website showing the particulars along with the photograph & signature of the candidates on the CTET website www.ctet.nic.in from 22-11-2018. No admit cards will be issued separately by the Board. These are to be downloaded only by the candidates. The candidate whose admit card have not been uploaded on CTET website are hereby given one more opportunity. Such candidates must contact the CTET Unit by 30-11-2018 (Friday) along with the copy of their confirmation page/proof of fee submission failing which the Board will not be responsible for non-issue of admit card to any such candidate. Thereafter no such requests will be entertained.